Anyone who reads this column regularly knows that I don’t have much love for American IPAs. English IPAs, yes. Overhopped American IPAs, no. 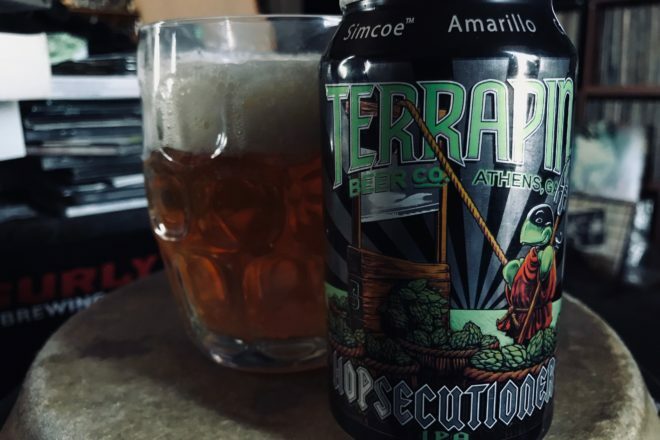 But I wanted to challenge myself recently when I picked up a six-pack of Hopsecutioner IPA from Terrapin Beer Co. of Athens, Georgia. Brewed with six varieties of hops that register 71 IBUs – Amarillo, Cascade, Centennial, Chinook, Simcoe and Warrior – I braced myself for a hop assault and thought, well, I can save the other five cans for my hop-fiend friends. Just like the English IPAs I love, Hopsecutioner has a solid malt backbone that stands up to the hops. This is a fantastic IPA – or, as it says on the label, playing off the name, “KILLER IPA!” It weighs in at a healthy 7.3 percent. It’s a really beautiful beer – full and rich and exciting. Makes me want to go to Athens to try this beer, and others of theirs, live. I learned they started off in 2002 with a rye pale ale – yum, sounds scrumptious. I love the complexity rye adds to beer. With Hopsecutioner, they achieve perfect balance between the six hops with four different malts: two-row pale, Munich, crystal and Victory. I’m familiar with and have brewed with all but the last malt, which I had never heard of. I had to look it up to learn that it is a malt created by Briess of Chilton, Wisconsin. Briess describes the roasted Victory malt as toasty and biscuity, which I believe are key elements in English IPAs. This, I think, is some smart brewing. It has to be to get me to really enjoy an American IPA. 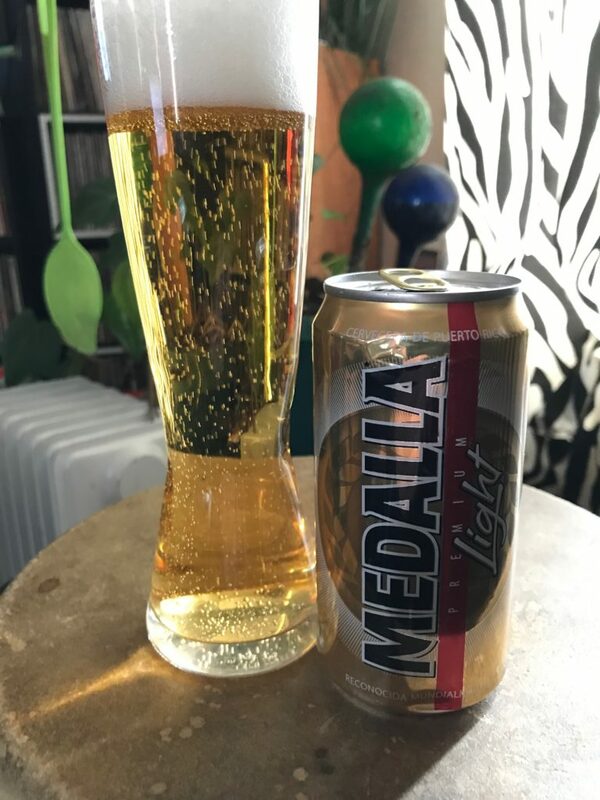 I was recently gifted two cans of Medalla Premium Light, a Puerto Rican lager from Compañía Cervecera de Puerto Rico. It comes in a petite, 10-ounce can. Typically, I avoid “light” beer, remembering how my late pal and Chilton, Wisconsin, brewery owner Bob Rowland described it as “fornicating near water” (well, Bob used a different F-word). Bob, a cigar-chomping giant of a man, would not treat kindly anyone who asked for a macrobrew light beer in his craft pub. However, I don’t think the Puerto Rican brewery is using the word “light” to mean a diet beer or whatever American light beer is supposed to be. There’s too much flavor involved for Medalla to be one of those lights. It’s a beautiful, golden lager with a tight, white head. I imagine it would go down well ice cold on a Puerto Rican beach. It’s almost too easy to drink this stuff. It wasn’t long before all that remained were the two cute, empty cans.